Here are some news items about our school. 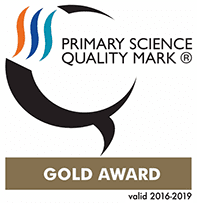 We also have a portfolio with our latest STEM projects and achievements which we update regularly. 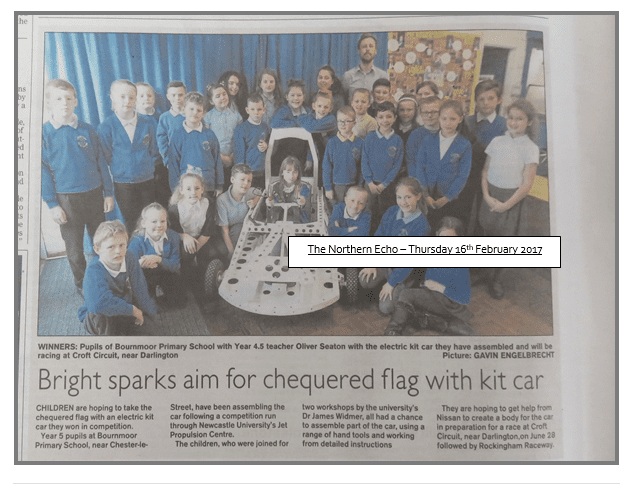 Mr Seaton said the vehicle will take up residence in the school hall while the children continue to test drive it ready for taking part in races, including at the Croft circuit in June and at Rockingham Raceway in July. To win the prize the children had to come up with their idea of what a car would be like in 2050. They created drawings and a Lego model of what their future car would be and turned it all into a poster. Mr Seaton said the vehicle, which is powered by a 12v car battery, arrived flat packed and so far the children have spent at least ten hours putting it together, including wiring it up. Dr James Widmer, an electrical engineer with the Newcastle University, went along to the Lambourne Close school in Houghton, to run a workshop with the pupils. 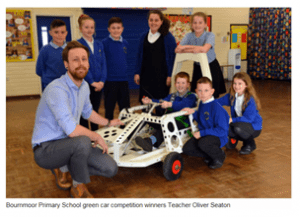 Mr Seaton added: “All children in Years 4 and 5 had the chance to assemble part of the car, using a range of hand tools and working from detailed instructions. He said the school is also hoping car giant makers Nissan, will help the children with designing and creating the bodywork for their car. Once the racing is over, Mr Seaton said the plan is to dismantle the car so that future years groups can have the chance to experience building it themselves. The Greenpower Goblin cars are part of The Greenpower Education Trust’s objective to advance education in the subjects of sustainable engineering and technology to young people. Back in November, Year 4/5 entered a competition set up by Newcastle University, answering the question ‘How will we travel in 2050?’ Not long after sending off their entry, they heard back from the advanced propulsion team at Newcastle University. THEY HAD WON! The amazing reward was to build a Goblin kit car in the classroom! Two engineers visited the school to tell the children all of the ins and outs of the car. 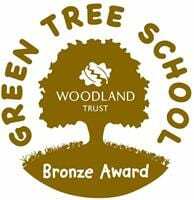 The children have learnt so much in a short space of time and are thrilled to be part of such a fantastic project. The main things left to do now are the drive train, wiring and the bodywork! The children have decided they are going to use an upside down bath as the bodywork. Keep checking the website for updates!